View all available Arrowleaf condominium real estate listings. Arrowleaf are finely appointed, loft style condominiums, located in the heart of Empire Pass. 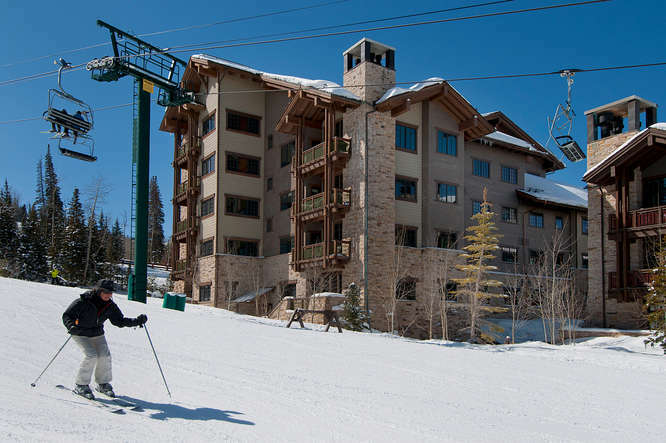 Arrowleaf features direct ski in, ski out access and are a short walk to the Tower Club. Arrowleaf’s architecture and finishes are rustic, yet refined, with reclaimed hardwood floors, natural stone fireplaces, chefs kitchens, and luxurious master baths. Arrowleaf unitshave Empire Pass and ski run views. Arrowleaf and Empire Pass amenities include owners lounge, fitness facilities, ski lockers, and transportation services. Questions about real estate for sale in the Arrowleaf condominiums or other Deer Valley or Park City communities? Contact Quinn Eichner at 435-640-1854, or use the Contact Us form to request additional information.